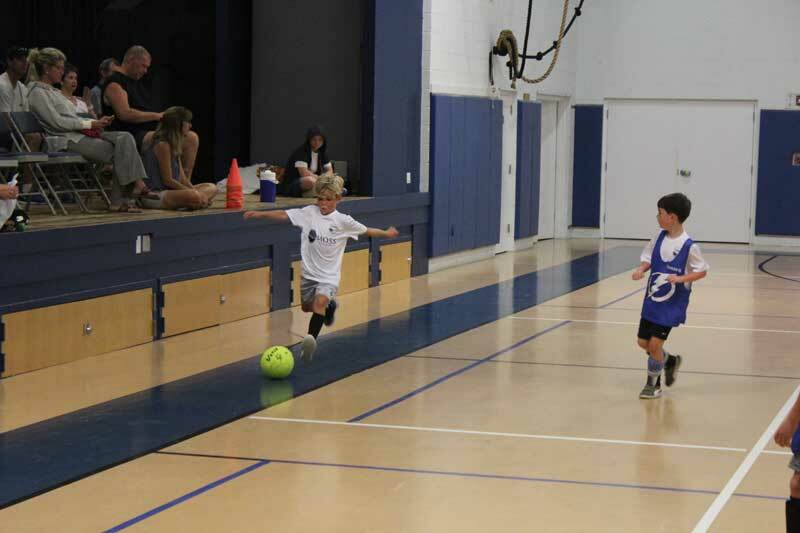 The summer indoor soccer league at the Center of Anna Maria Island is underway for players 3-12 years of age. The 3-5 and 6-8 divisions are an academy league. There are no permanent teams and no scores or standings are kept. This keeps the focus on learning and individual player development. 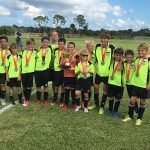 Far too often in youth sports, the focus is on winning and not developing players to be the best they can be, but not so here. 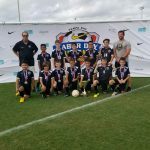 During the July 31 session, the players were grouped together to participate in a skills clinic where instructors worked with players on dribbling, passing, trapping and shooting. After the skills clinic, the players put their lessons to the test during informal, but competitive scrimmages. In this format, a teammate one night might be the opponent the next time the kids meet on the pitch — which, for the kids is the indoor gym. The kids and coaches all appear to be enjoying the clinics and scrimmages, not to mention the cool surroundings in the center’s air-conditioned gymnasium. 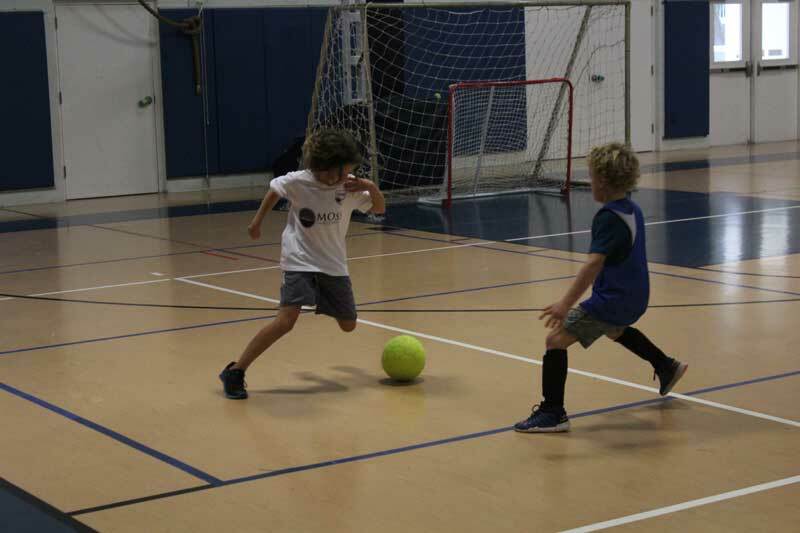 The three-team 9-12 division of the center’s indoor soccer league, sponsored by the Ugly Grouper, completed its third week of action and the scoring continues to be off the charts. The action July 31 — a match up of two 1-0 teams — saw Red go up against Blue. The Blues outscored the Red by an 11-8 score to improve to 2-0 on the season behind nine goals from Jackson Pakbaz. Frankie and Michael Coleman each added a goal and an assist, while also combining on seven saves in goal. Caden Quimby added two saves and an assist in the victory. Ugly Grouper Red, which fell to 1-1 on the season, was led by Anthony Nguyen’s five goals and a pair of goals from Gregory Jordan. Peyton Harlan completed the scoring with one goal, while Jack Whiteside and Laila Yavalar combined to make seven saves in goal. The adult soccer league at the center completed its third week of action with three matches Aug. 2. The standings are tight at this early juncture with Moss Builders and Sato Real Estate tied for the top spot with matching 2-0 records. 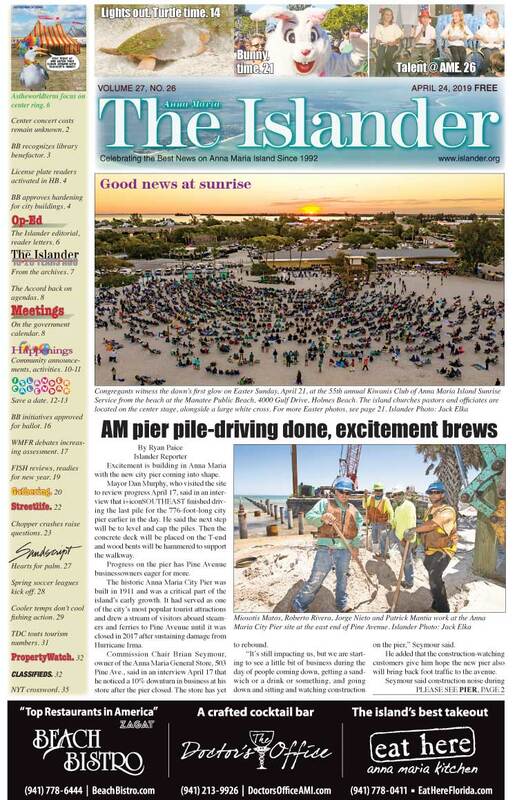 Lancaster Design and Progressive Cabinetry follow with 2-1 records, while Bins Be Clean, on a bye week, held down the fifth spot in the standings at 0-1-1. Mar/Kis Insurance follows with an 0-2-1 record, while Ross Built is alone in last place with an 0-3 record. The action got started with Sato handing Lancaster its first loss of the season by a 7-3 score. Zack Lieb scored three goals and Jessica Williams added two goals to lead Sato, which also received goals from Josh Sato and Cemal Duzgan. Scott Bear made seven saves in goal to help preserve the victory. Adam Mott’s two goals and a goal from Robert Armstrong paced Lancaster, which also received assists from Murap Akay and Nate Talucci in the loss. Moss Builders doubled up on Ross Built by an 8-4 score in the second match of the evening behind five goals from Chris Scott. Ray Gardner, Aaron Parkin and Matthew Castro each added a goal, while Olaf Krause and Ryan Moss combined on six saves in the victory. Ross was led by Connor Bystrom’s two goals, while Greg Ross and Chris Culhane each had a goal and assist in the loss. The final match of the night saw Progressive Cabinetry edge Mar/Kis Insurance 5-3 behind a hat trick by Ryan Hogan. Hakan Toka and Damir Glavan each scored a goal, while William Case finished with seven saves in the victory. Tony Morales scored two goals and Jeremias Gramajo scored one to lead Mar/Kis in the loss. Golf action at the Key Royale Club in Holmes Beach got started July 30 with the men playing a nine-hole modified Stableford-system match. Fred Miller earned clubhouse bragging rights for the day on a plus-4, a point ahead of second-place finisher Tom McDonnell. The men were back on the course Aug. 2 for a nine-hole scramble, won by the team of Mike Gillie, John Kolojeski, Scott Mitchell and Peter Murley on a combined 4-under-par 28. Three teams advanced to the knockout stage and battled for the winner’s circle during Aug. 1 horseshoe action at the Anna Maria City Hall horseshoe pits. The team of Tim Sofran and Neil Hennessey drew the bye and watched as Gary Howcroft walked his way to a dominating 25-3 victory over Steve Doyle and Bob Heiger. The finals were all Sofran and Hennessey as they rolled to a 21-11 victory over Howcroft. Action on Aug. 4 was short and sweet as Heiger and Dom Livedoti posted the lone 3-0 record in pool play and were the day’s outright champs.